Mentoring changes lives for the better. The Knoxville Area Mentoring Initiative (KAMI) is a collaborative mentoring project built by some of the strongest mentoring organizations in East Tennessee. The Knoxville Area Mentoring Initiative is combining the efforts from some of our area’s strongest mentoring organizations to better serve the Knoxville area’s at-risk youth. We believe we are Better Together, and we are looking for strong mentors to Be Better with us. By becoming a mentor today, you can help enrich the lives of others in ways you never thought possible. 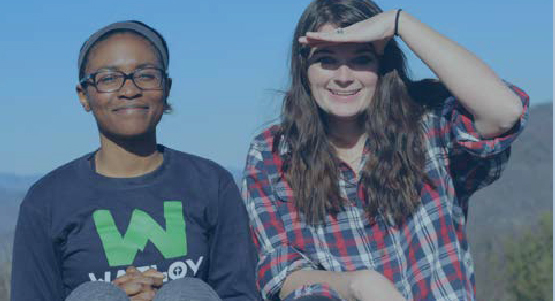 The Knoxville Area Mentoring Initiative is unique in that it is a combination of efforts across multiple organizations of varied backgrounds. By joining forces and working together, these organizations are seeking to strengthen the mentoring presence in East Tennessee and the surrounding area. We believe, by working together, we can be stronger, more effective and bolder in our effort to create and foster mentoring opportunities. Our mission is to provide a quality music education for financially disadvantaged, at-risk youth. More than a program, Amachi is the passionate response to the needs of children with one or both parents in prison. Are you ready to become a mentor? Provide your contact information below if you would like to become a mentor.